MS HCI students have information needs specific to the program, areas of study, career preparation etc. Also need to communicate with each other. 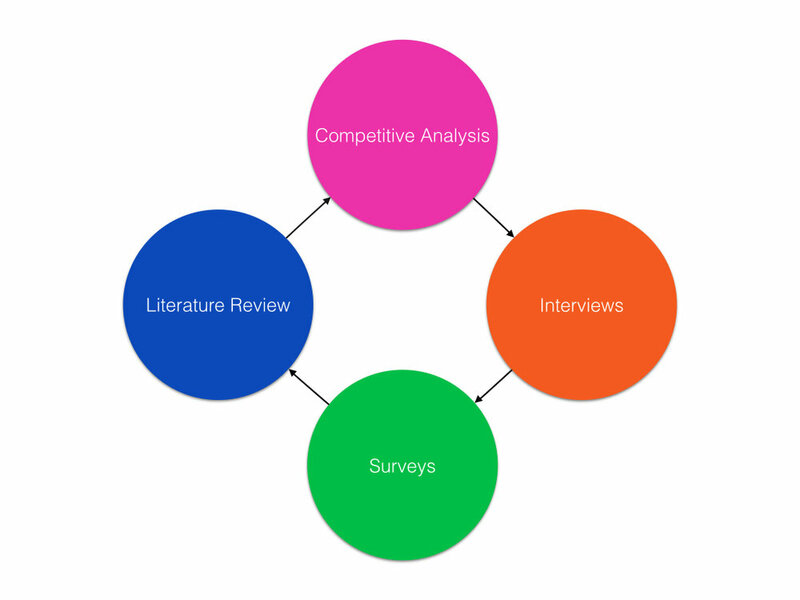 We first started with a Literature Review in order to acquaint ourselves with the research space. We then looked at different tools a student uses to obtain information and communicate and subsequently performed a Competitive Analysis. After having obtained sufficient knowledge of the domain, we conducted Interviews and Surveys. However, this was not a linear process. We used the insights we got from each research method to revisit our prior research and revise it. In order to better understand our users needs, we set out to complete a series of semi-structured interviews. We primarily wanted to understand what tools MS-HCI students were using for communication currently, both with the program and with each other. We went through several iterations of the questions as they were put into practice and their strengths and weaknesses were evaluated.The resulting interviews can be found in Appendix B. We interviewed a total of 8 people, 6 international students and 2 domestic students. We had 3 female student and 5 males. To organise our thoughts we chose to code our interviews into an affinity map, sorted by the different types of communication that the students reported using, and their use, likes, dislikes and time spent in it. After gathering all the data, several themes emerged. Affinity mapping was used to derive themes from the data.